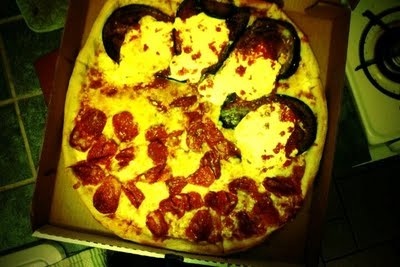 Thank you to cailen ascher, she reviewed one of our pizzas. last night craig and i decided to get take out. 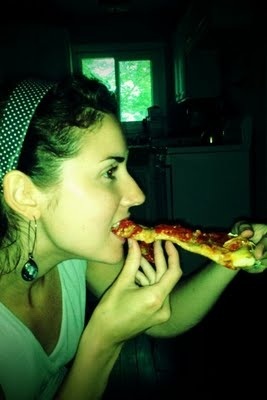 it was too hot to cook, and we wanted to try a pizza place my cousin and his wife recommended. 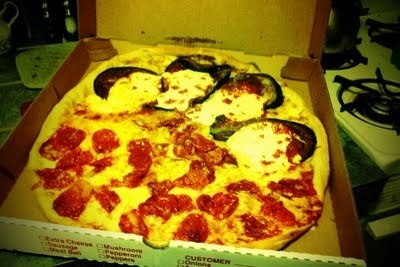 pina's pizza in doylestown is your typical pizzeria. booths line the right wall and the counter flanks the left. their pizzas are massive. seriously, they are some of the biggest and most extravagantly topped pizzas i've seen in quite a while. pizzas topped with penne vodka, chicken parm or stuffed with spinach and cheese. 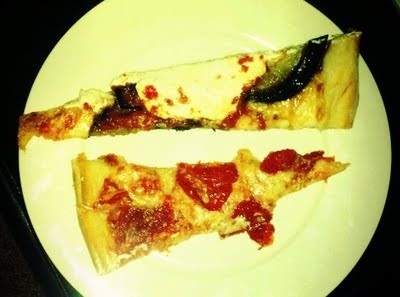 we opted for a 1/2 eggplant and ricotta, 1/2 sundried tomato pie. 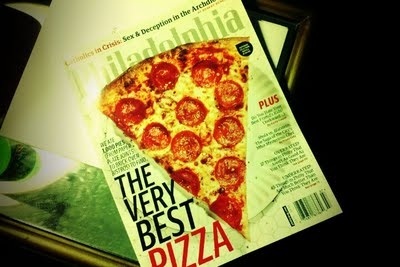 while we waited for our pizza, we wandered around the shopping center and found the latest philadelphia magazine. their cover story? 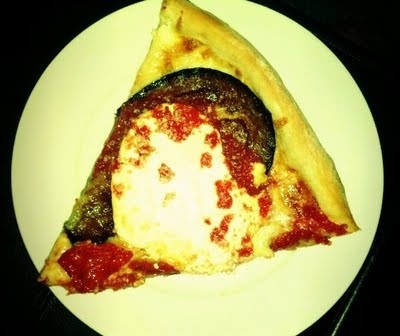 "the very best pizza." ironic, no? now, craig and i have quite a few more pizza joints to try... i think we have our work cut out for us. Welcome to Pina's Pizza III where we only use top quality ingredients. Check out our coupons! Also, come in and try our best seller. 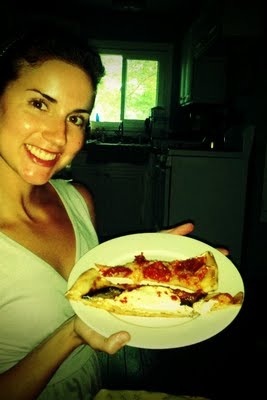 The thin crust Brooklyn pizza, with fresh mozzarella and basil! We only gaurantee you the best!